Drought stricken Texas Hill Country above the Edwards Aquifer. The Edwards Aquifer is one of the most important water resources in Texas. As one of the largest, most prolific artesian aquifers in the world, it serves as the primary source of drinking water for nearly two million Central Texans, including every resident of San Antonio—Texas’ second largest city — and much of the surrounding Hill Country. Its waters feed springs, rivers and lakes and sustain diverse plant and animal life, including rare and endangered species. The aquifer supports agricultural, industrial and recreational activities that not only sustain Texas’ economy, but also contribute immeasurably to the culture and heritage of the Lone Star State. The Edwards Aquifer stretches beneath 12 Texas counties and the land above it is broken into four primary regions. Two of those regions—the recharge and contributing zones—replenish the aquifer through rainwater, which seeps through fissures, cracks and sinkholes in the porous limestone that dominates the region. The Edwards Aquifer is one of the largest, most prolific artesian aquifers in the world. The aquifer serves as the primary source of drinking water for nearly two million Central Texans, including every resident of San Antonio. © Gregg Eckhardt - Edwards Aquifer Website. Read this fact sheet to learn more about public investments in water quality in Texas and how the approach is succeeding through collaboration and science-based decision-making. 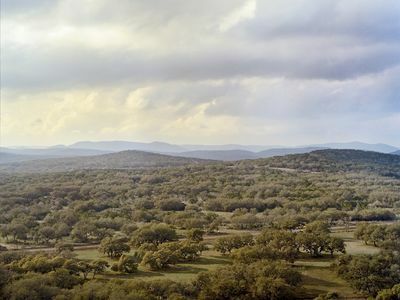 For many years, residents of Austin, San Antonio, and surrounding counties in Texas have supported successful bond elections to purchase open space and conservation easements over the Edwards Aquifer. This strategy has resulted in more than $700 million in water protection funds and the conservation of more than 100,000 acres of critical groundwater lands in San Antonio. As the only major metropolitan area wholly dependent on an aquifer for drinking water, San Antonio has long understood the importance of its protection. In 2000, voters approved the city’s first publically financed water fund measure to protect the Edwards Aquifer. The proposition passed with enthusiastic support and ultimately raised $45 million in water funds to purchase properties within the aquifer’s most sensitive area. Five years later, San Antonians voted to not only continue the program, but to greatly expand it. The ensuing Edwards Aquifer Protection Initiative raised an additional $90 million to protect the Edwards Aquifer in Bexar County, where San Antonio lies, and throughout much of the region. A short time later, voters renewed the initiative, raising millions more. Since 2000, The Nature Conservancy has worked alongside the city officials in San Antonio and surrounding communities to ensure these water funds make the most impact. The Conservancy has helped these local governments invest more than half a billion dollars in water protection funds and protect more than 100,000 acres above the Edwards Aquifer. Through these citizen-approved public investments, the City of San Antonio has protected 21 percent of the land within the Edwards Aquifer recharge zone. Visit the Edwards Aquifer Protection Program website to learn about its history, conservation area maps, frequently asked questions, and much more.